I miss participating regularly in this challenge but life has been insanely busy for the past nine months or so. 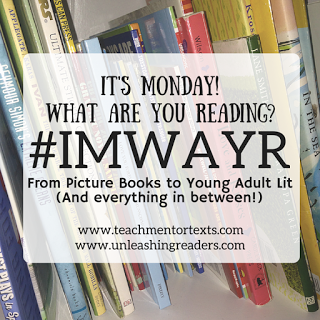 Whenever, I get a chance to do some binge reading and have an open weekend, I like being able to take to my blog to share out. This past Friday, I had the pleasure of spending the evening at a dinner hosted by Nicole White of Penguin Young Readers to celebrate The Night Diary by Veera Hiranandani. Veera and her editor, Namrata Tripathi shared about the book from both the writer and editor perspectives and also what the story meant for both of them. Nicole found just the perfect spot for a literary evening to match the book. The event was hosted at BLVD Kitchen in Sherman Oaks. Definitely check out their website for all of the cool cooking classes and events happening at BLVD Kitchen at www.theblvdkitchen.com Chef Nishi Lal read The Night Diary in preparation for the dinner and worked to match her menu in a way that would fully bring the story to life. Chef Lal shared about how she created the recipes for the various dishes. She also did a short cooking demonstration and passed around her beautiful spice tins for us to admire. The evening was magical and everyone enjoyed chatting with one another while enjoying fabulous Northern Indian cuisine. If you don't have The Night Diary on your radar, I highly encourage you to add it to your reading pile. BOB by Wendy Mass and Rebecca Stead; Illustrations by Nicholas Gannon (Feiwel & Friends, May 1, 2018) - When this advanced reader copy showed up in my mail, I immediately knew I had to read it. How can you pass on a book by either Wendy Mass or Rebecca Stead? And to have a book written by both these amazing writers, well let's just say it made it to the top of the pile. It is also one of those books where you find yourself saying, just one more chapter. To find out more about how Mass and Stead collaborated on BOB , check out this article from Publisher's Weekly here. Pashmina by Nidhi Chanani (First Second, 2017) - This has been on my "to read" list for awhile and as the date for me to return it to the library loomed near, I moved it up in the pile. For upper middle grade readers and young adult readers, Pashmina is similar in style to American Born Chinese by Gene Luen Yang. 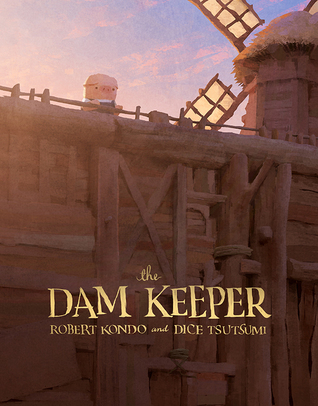 The Dam Keeper by Robert Kondo and Dice Tsutsumi (First Second, 2017) - This graphic novel is based on the original short animated film of the same name by Kondo and Tsutsumi. As with some graphic novels, the limited amount of text may make this seem like a book for very young readers but with a closer reading the story and themes are really for slightly older readers and would provide a vehicle for discussion and inference. The official trailer for The Dam Keeper film. What If... by Samantha Berger; Illustrated by Mike Curato (Little, Brown Books for Young Readers, April 3. 2018) - I will be talking more about this beautifully illustrated picture book later this month.